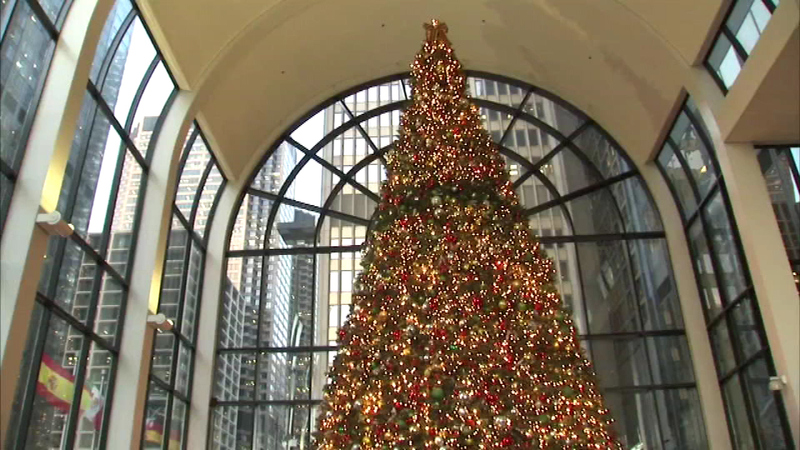 The Willis Tower is ringing in the holidays with a twinkling Christmas tradition. CHICAGO (WLS) -- The Willis Tower is ringing in the holidays with a twinkling Christmas tradition. Bulls forward Tony Snell flipped the switch on the 48-foot tree, which is now sparkling with 10,000 lights inside the Chicago landmark.